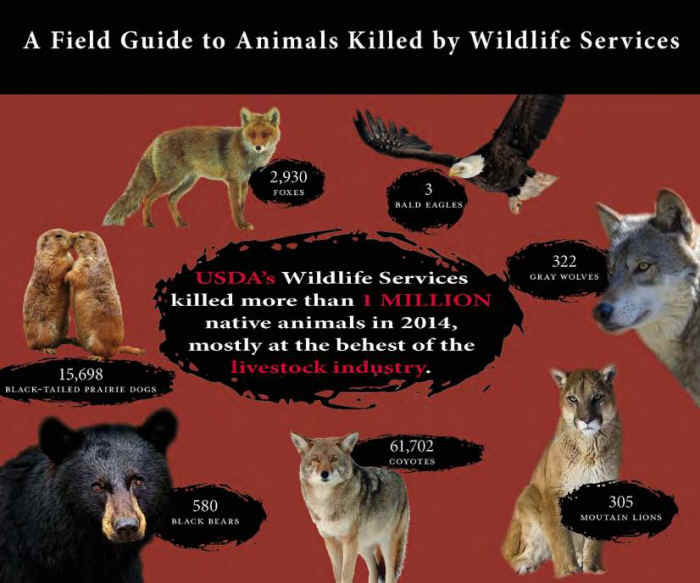 A little-known program called “Wildlife Services,” part of the U.S. Department of Agriculture, is secretive for a reason: It’s cutting a deadly path through America’s wildlife in a brutal campaign — mostly at the behest of the livestock industry and out of public sight — that kills precious wildlife, endangered species and even beloved pets. 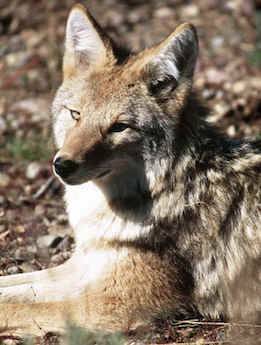 Since 1996 Wildlife Services has shot, gassed, poisoned and strangled by snare 26 million native animals. During fiscal year 2014 alone, this program wiped out more than 1 million native animals — including coyotes, bears, beavers, wolves, otters, foxes, prairie dogs, mountain lions, birds and other animals deemed pests by powerful agricultural, livestock and other special interests — with little oversight, accountability or requirement to disclose its activities to the public, even though it’s paid for by taxpayer dollars. America’s wildlife deserves better than the cruel killing campaign carried out by Wildlife Services every day. Callously wiping out animals on such a large scale is misguided; it ignores science, engenders suffering, and robs many of our lands and waters of the creatures that have lived there for thousands of years. The Center for Biological Diversity is leading the fight to rein in this rogue program and bring it into the 21st century. In 2013 the Center and allies filed a sweeping legal petition to the U.S. Department of Agriculture demanding reforms like accountability, transparency and new, science-based regulations. These would limit lethal actions against wildlife and ensure ethical treatment of target animals and a commitment to avoid killing nontarget animals, including pets and endangered species. We’ve taken legal action in Idaho to protect animals from Wildlife Services and are urging counties in California to suspend their annual contracts with this federal program.